Old information only confuses your players! 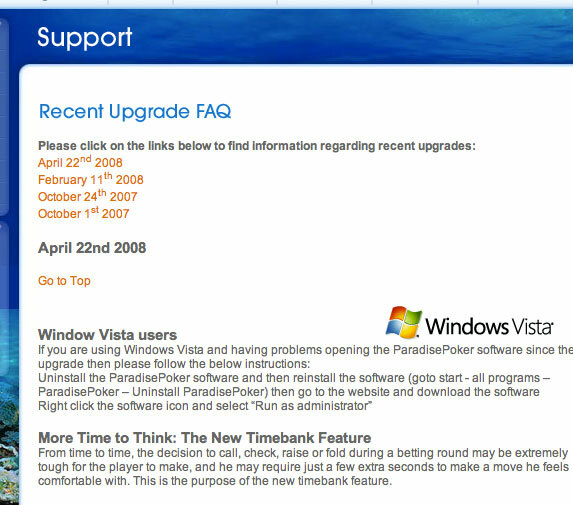 I have some time to look around and play on different gaming sites during my vacation and today when I went to the poker section at sportingbet.com I noticed on their poker support page that they have a FAQ page for recent upgrades. The only problem is that the information on the page is over three years old! My recommendation is to only show information that is up to date! If you can’t keep the information relevant then it is better to remove it.